Person Redman, Ben; Tomlinson, J. A. Description FIRST PASSENGERS -- Ben Redman ® and J.A. 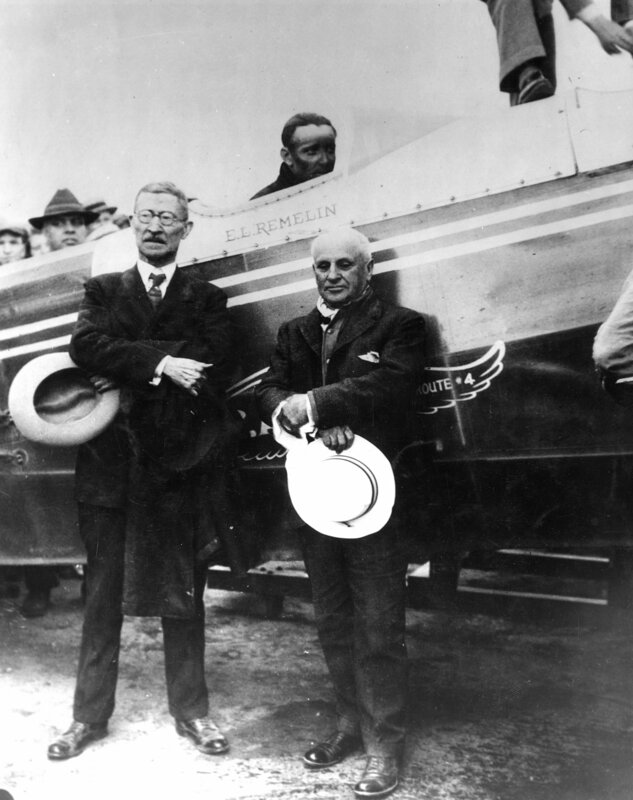 Tomlinson pose at Salt Lake City before boarding Western Air Lines first passenger flight on May 23, 1926. The history of the nation's pioneer airline has been linked with that of Salt Lake City since Western first took to the skies on April 17, 1926, on a flight linking Salt Lake City with Los Angeles, via Las Vegas. Continuing its practice of providing Salt Lake City with the finest air service, WAL will introduce Boeing 707 jet flights to the city Friday, June 16, 1961, offering the swiftest service ever scheduled to Minneapolis-St. Paul and Los Angeles. Gift of Bob Mitchell, Deseret News. Facsimilie of certificate of flight filed in Facsimilie File. Used in Utah Historical Quarterly, October 1961. Comment Used in "Utah Historical Quarterly," October, (1961). Rights Management Digital Image © 2008 Utah State Historical Society. All Rights Reserved.